Spreading happiness one dollar at a time. 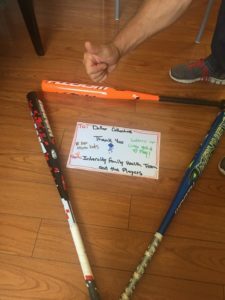 Our newest DC member, Kyrsten, works with a homeless baseball team in Toronto, and the team needed equipment for the playoffs. So we thought we could do our (small) part by helping buy much needed gear by contributing $103 for three new baseball bats.